Chapter vignette artwork by Brigitte Baldrian. © Brigitte Baldrian and Andreas Wanninger. We would like to thank the TOMCAT beamline scientists at the Swiss Light Source, Paul Scherrer Institut, Marco Stampanoni, Federica Marone, and Julie Fife, and the researchers at Beijing, Bristol, and Stockholm who have assisted in our research into fossil embryos over the years: Chen Fang, Cheng Gong, Duan Baichuan, Peng Fan, Zhi-kun Gai, Sam Giles, Neil Gostling, Jenny Greenwood, Guo Wei, Sandy Hetherington, Therese Huldtgren, David Jones, Joe Keating, Liu Jie, Liu Zheng, Duncan Murdock, Maria Pawlowska, Martin Rücklin, Ceri-Wynn Thomas, Zhao Yue, Chongyu Yin, and Zhang Huaqiao. We would also like to thank our colleagues with whom we have enjoyed fruitful discussions on embryology, fossilisation, and embryo fossils over the years. 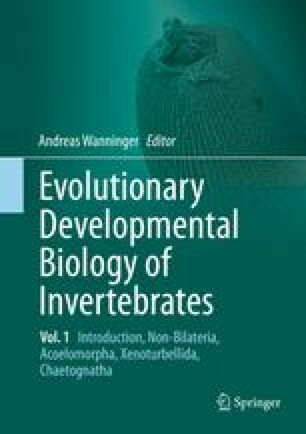 Finally, we thank Andreas Wanninger for inviting us to contribute to this wonderful and insightful volume on comparative embryology of invertebrates.